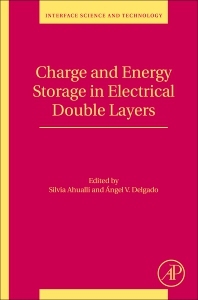 Charge and Energy Storage in Electrical Double Layers presents the basic scientific concepts and implementation of procedures devised to obtain capacitive energy from changes in the potential of electrical double layers when the salinity of solutions is changed. Capacitive deionization— the closely connected reciprocal process—is also considered. The book covers the fundamentals of electrical double layers and ions transport in porous media, the description of promising techniques of energy extraction, and the practical problems involved in each. It is written for scientists in academia and industry, and for graduate students working in supercapacitors, capacitive mixing and deionization. Dr. Silvia Ahualli is a teaching fellow and researcher in the Department of Applied Physics at the University of Granada, Spain, where her research interests include blue energy and capacitive desalination. She has published more than 40 articles in international scientific journals. Professor Ángel V. Delgado obtained his PhD in Physics in 1984. In 1985 he received the Research Award of the Academy of Sciences of Granada, and in 1998, 1989, and 1990 he received the CEPA Research of the Royal Academy of Pharmacy awards. He has been Fellow in Potsdam, NY, 1988, Secretary of the Department of Applied Physics, University of Granada, (1988-1989), Secretary of the Faculty of Physical Sciences Commission, Faculty of Granada (1985-1986), Director of the Hall of Science and Technology, and Vice President for University Extension, University of Granada (1999-2006). He has published 227 articles in international scientific journals. He is a member of the scientific committee of the ELKIN (Electrokinetic Phenomena Society), and he edited the book Interfacial Electrokinetics and Electrophoresis in the Surfactant Science Series published by Marcel Dekker (now CRC Press).